Comfy portable seat helps baby sit up for play. Fisher-Price sit-me-up floor seat with tray is the perfect sit-me-up solution for younger babies who want to sit up, but who still need added support. 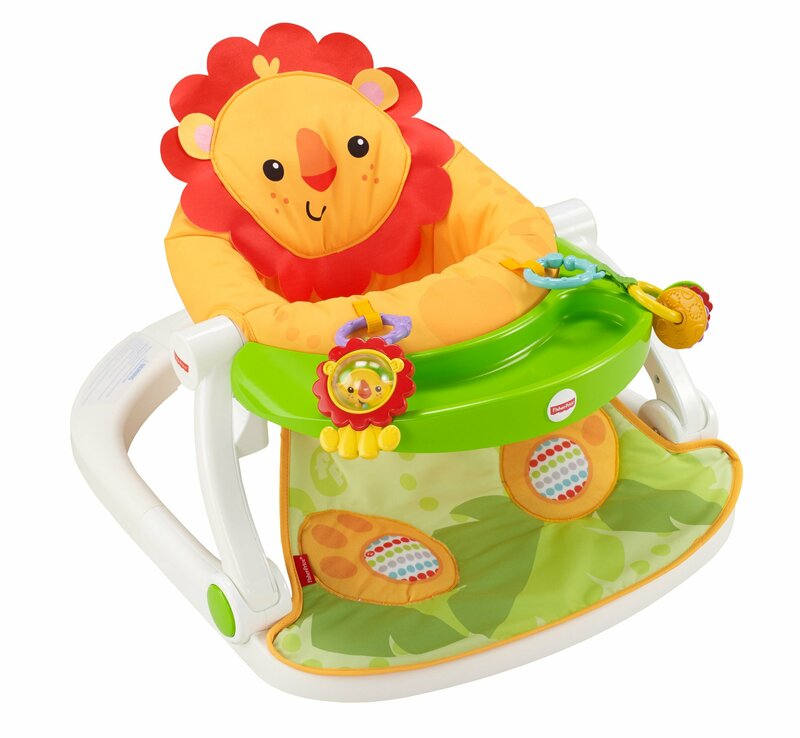 The wide, stable base and soft lion seat let baby sit up, see, and interact with the world around. Plus it has a removable tray to hold snacks and toys. Fun squeaker sounds from the lion foot pads reward kicky little feet, and two linkable toys within baby's reach offer even more sensory-stimulating, motor-skill-building fun. Sit-me-up floor seat is easy to assemble, and easy to fold flat for take-along or space saver storage. The tray stores flat underneath, too.